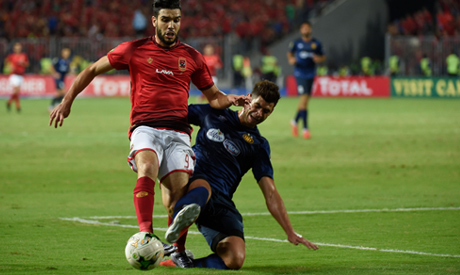 Ahly’s management has asked the Egyptian Football Association (EFA) to send a protest letter to the Confederation of African Football (CAF) after the recent punishments imposed on the club and its Moroccan striker Walid Azaro ahead of Friday's Champions League final. The scene sparked outrage and the Tunisian Football Association held an emergency meeting on Saturday listing several demands to CAF including the suspension of Azaro for his “unsportsmanlike behavior and assaulting an Esperance player." Ahly responded to the jersey incident in Tuesday's letter; assuring that the player was punished by the club for his behavior. However, Ahly said that it is not unusual behavior among players all over the world, but they do not receive any punishment. Ahly also expressed their astonishment at CAF's intention to discuss on Wednesday the Tunisian football association's request to lift the suspension of two Esperance players ahead of the final.